Something I like about street markets in Barcelona and the rest of the country is that many times when you don't like what you see you can always go and refresh your eyes with the explosion of colors of South American stands. I mean, there is always a Bolivian or Peruvian stall where you don't know exactly what's on sale but you can't help staring with curiosity. Something is telling you that you want to buy. 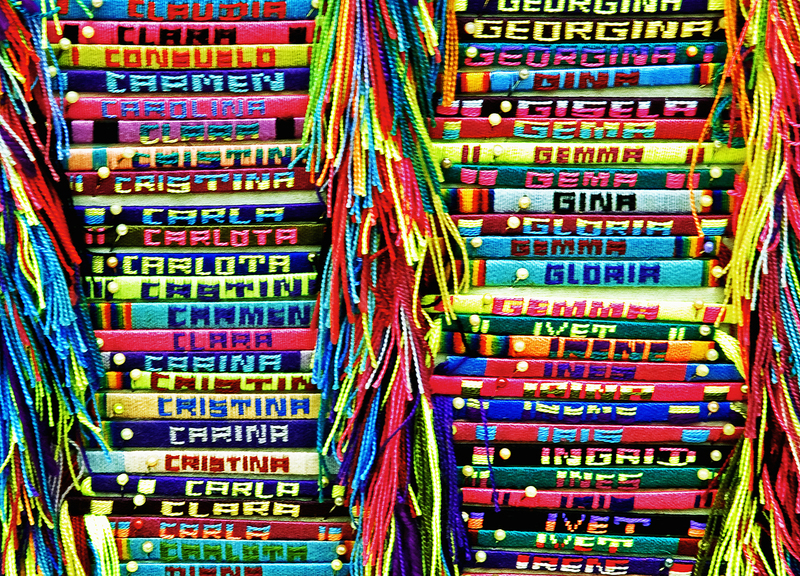 Not because of the pottery, the Che Guevara or Bob Marley T-shirts and the familiar leaf silhouette, not because of these personalized ribbons or bracelets with girl names but because of the whole impression, the warm colors, the Latin flashy hues that make the stand look more appealing than the rest. For me, much better than a 50 percent off sign. Really colorful indeed. Those same stalls can be seen in my islands where colorful beadworks and fabrics are usually on sale for tourists as souvenirs.